Power, gas, cable, hydro-energy, even municipal public works organizations, you all have one thing in common: the need for easy access to instant communication. It’s essential to stay on top of the needs of the communities you serve. Aerowave Technologies understands this need and has a wide range of communications solutions for utility organizations available, including completely personalized, custom-created solutions designed for your organization. 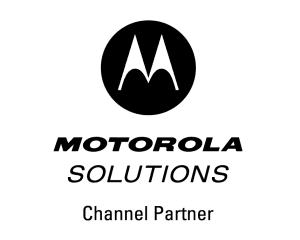 Our relationship with Motorola allows us to offer the latest MotoTRBO digital radios to you, including radios that have been ruggedized to handle the absolute worst weather North Texas can throw your way. We offer fleet ready communications including Wide Area Motorola Digital Radio Systems and the Aerowave Wide Area System for Dallas. Another service we offer is rental radios. These radios can be critical when coordinating additional manpower called in to address system upgrades or widespread outages. Aerowave Technologies is dedicated to meeting your communications needs through our wide-ranging lineup of products, services, and accessories. nearline addition to 20 years of experience in the industry, we continuously strive to add new skills, products, and services to our lineup. Contact us today to learn more about the wide range of services we have to offer your utility company and how we can create a customized communications solution for your organization that meets the needs of executives in the offices and the men and women in the field and in the elements.